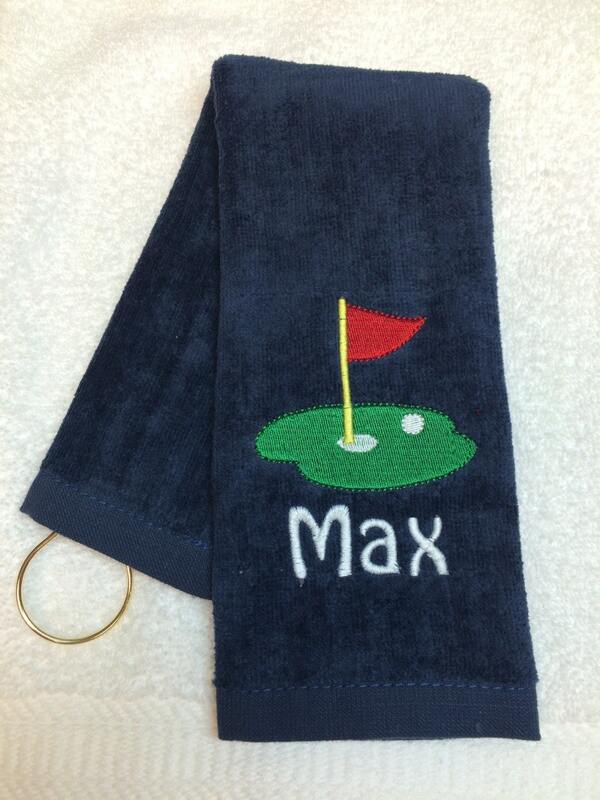 Custom personalized embroidered golf towel. 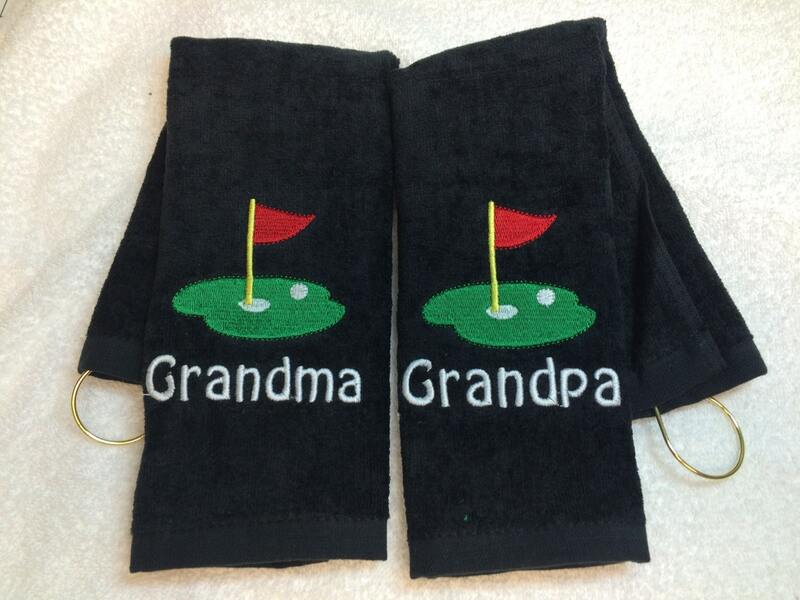 These golf towels will win brownie points with with any golfer. 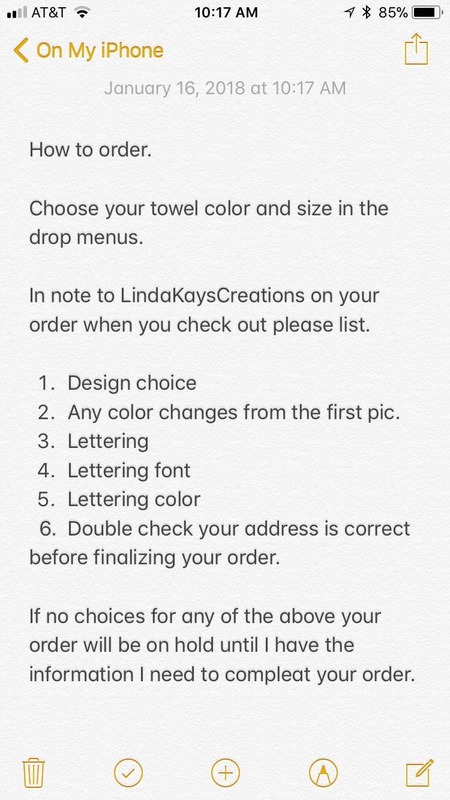 Towel is any color, choose in the drop down. size options choose in drop down. 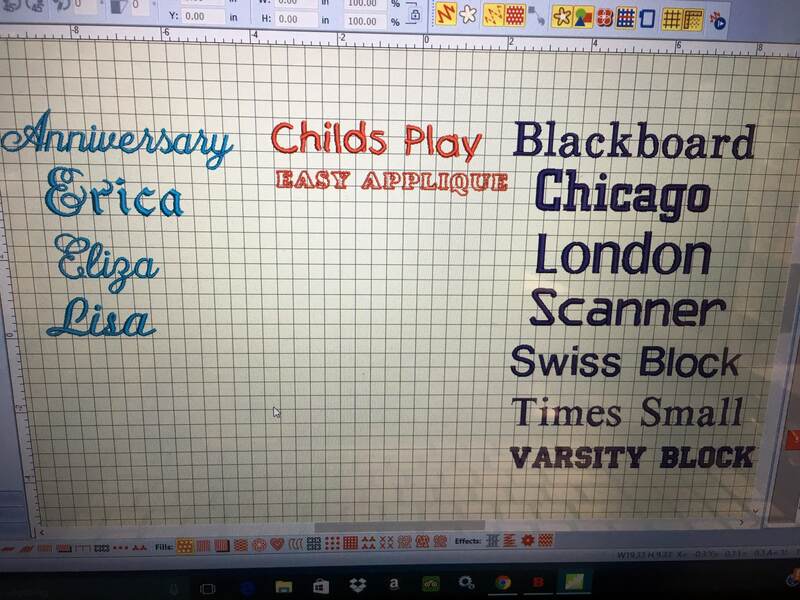 Please list in comments to seller name you would like for me to stitch and also colors for the flag and name. Any questions just message me. 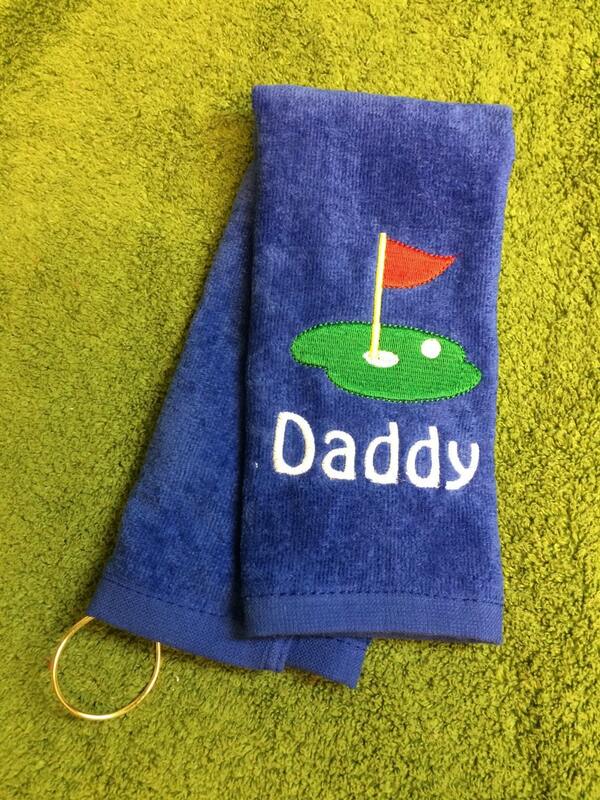 Husband loves golf towels! 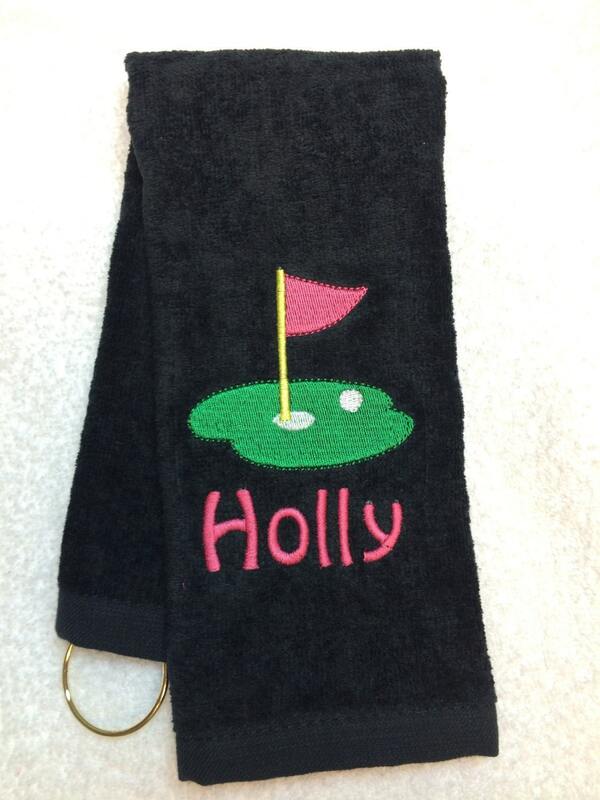 I love the monogram style, color & towel quality! 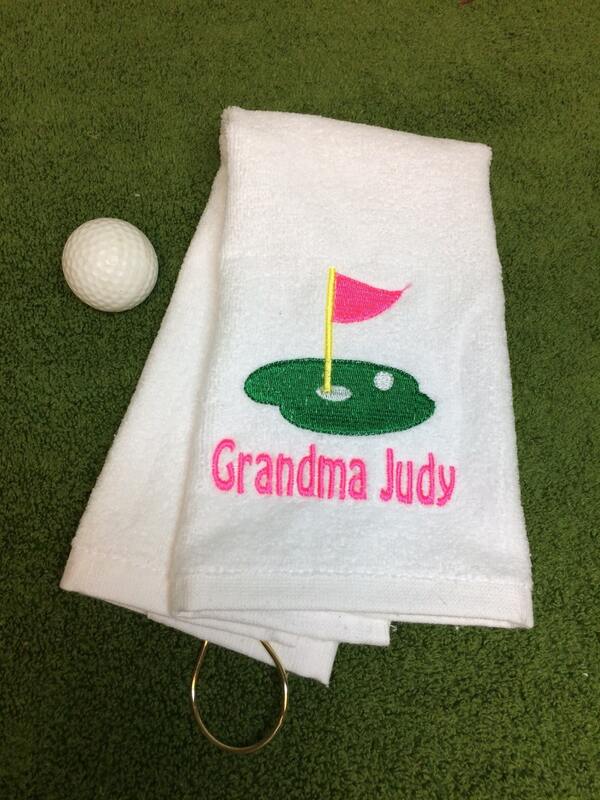 Turn around time in monogrammed towel was quick and arrived on time. 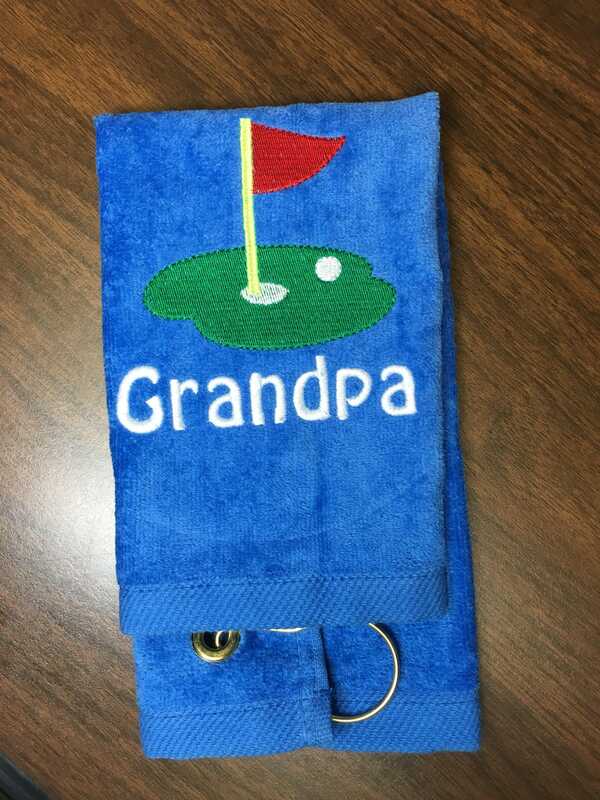 Is what part of my husbands birthday gift and he loves it. 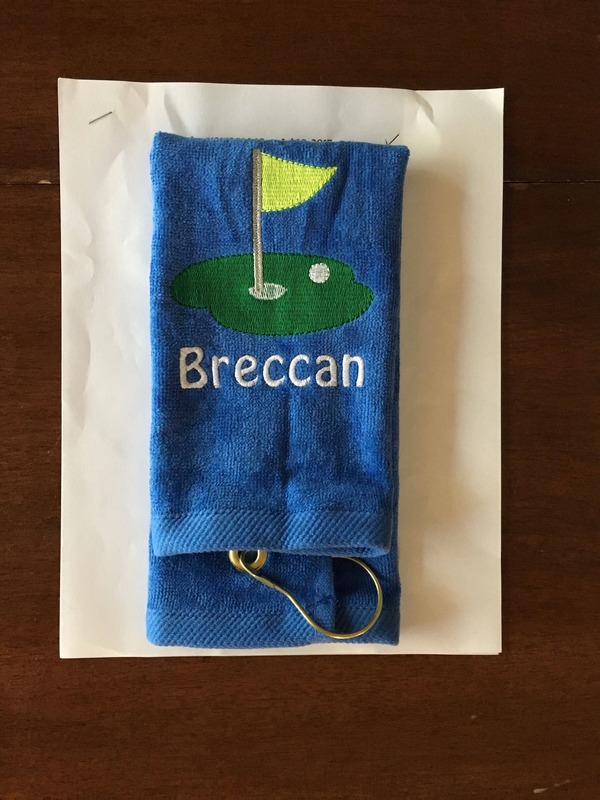 Towels are beautiful. They came quickly and exactly as described. Thank you! 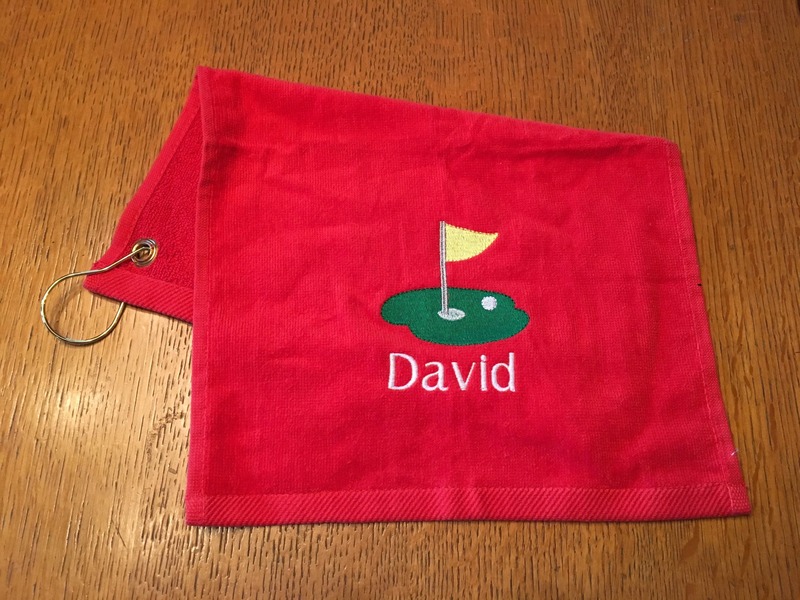 Perfect Personalized Christmas gift for my grand dad who loves to golf! Thank you!